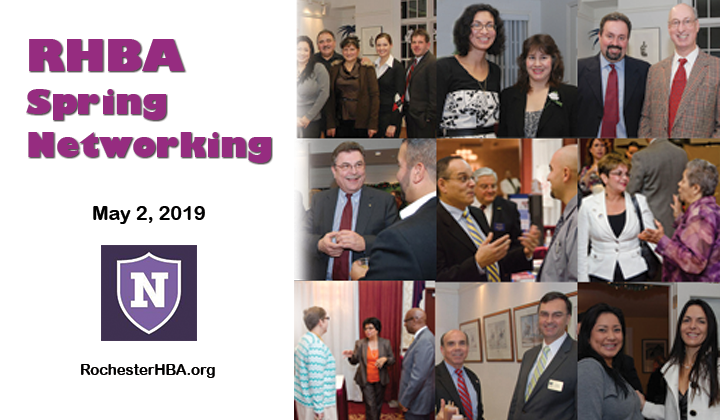 Please join us at our Spring networking event at Casa Hispana! Enjoy tapas and exchange ideas with fellow RHBA members. Bring a friend too! The Casa Hispana at Nazareth College is a language and cultural resources center where everyone (including the local community) is welcome. Spanish language courses, lectures and seminars, poetry readings, theatrical presentations, cuisine tastings, and art exhibits are just a few examples of events that happen at the Casa. Cost: $5 for members and $10 for non-members and guests. Please RSVP by April 20th,2019 with Michele.Hefferon@greaterrochesterchamber.com . Yes, I want to receive news and notifications about upcoming events. I understand that once I register there are no refunds. If not able to attend, another person can be send in my place.